We carefully select our distributors and they represent the most qualified lighting professionals in your country. For questions about becoming an official GRE Alpha distributor, please contact us here. Asty Corporation is a leading electronics company providing LED lighting solutions and professional technical support services to the Japanese LED Industry. Other than LED components, Asty also provides solutions for intelligent lighting systems and IoT enabled sensors and cameras. Asty also provides engineering support services, specializing in LED signage, street lighting and sign-board advertising industry. In April 2012, ERG Lighting and GRE partnered to provide standard and custom solutions for customer requirements. 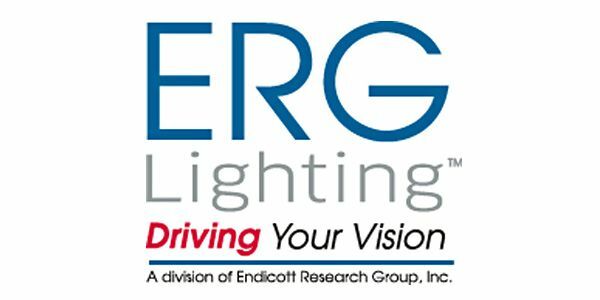 ERG Lighting, a division of Endicott Research Group, Inc. (ERG), is a stocking distributor for GRE Alpha in North America. ERG has been designing and manufacturing power supplies for customers in the US and around the world since 1979. In 2008, ERG began leveraging its expertise in LED control to include areas of general lighting. Today, we offer LED drivers for solid state lighting that surpass clients' expectations for quality, function, and reliability. Ideal for applications such as signage, architectural, retail, and office. ERG Lighting offers complete sales and expert engineering support and exceptionally short lead times throughout the U.S. and Canada. Based in Santa Clara, California, Bravo Electro Components is dedicated to bringing a comprehensive range of cutting edge products in areas Power Supplies and Cooling Products. We have over 50 years of combined experience in the areas of Power and Cooling. Bravo provides standard off the shelf products, as well as modified units to meet the broadest range of applications. From putting a connector and twisting the wires on a fan, to a power system utilizing multiple power supplies in a power rack, we design it, build it, test it, and deliver it to customers’ specification. If a standard unit from our offering does not satisfy customers’ needs, we also offer modified standard or full custom units. A Fortune 150 company with 18,700 employees worldwide, Arrow brings technology solutions to a breadth of markets, including telecommunications, information systems, transportation, medical, industrial and consumer electronics. telephone: 855-326-4757 and there is a live chat function on the website. Established in 1989, America II is a global leader in component distribution. The America II distribution facility now stands at more than 420,000 square feet and stocks over 4 billion components, making us one of the world’s largest stocking distributors of semiconductors and electronic components. Through our franchise and direct distribution lines, America II serves as a primary partner for all OEM and EMS customers. Headquartered in St. Petersburg, Florida and with offices in UK, Germany, China, Japan, Singapore and Mexico, America II also provides value-added services and inventory business solutions.